Ambition: To always be happy and to keep doing what I can to better society in small ways for years to come. 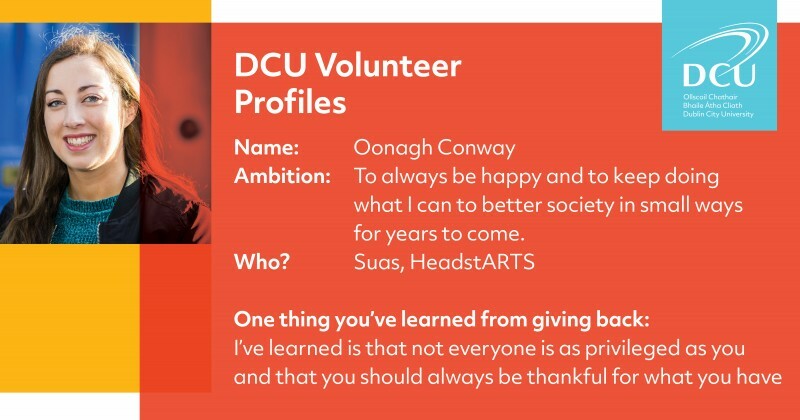 I volunteered with Suas in their Literacy Support programme when I was in first year, and continued during second and third year of college. In Suas they promote education in disadvantaged areas and this is something I am passionate about. I also volunteered with HeadstARTS which is an art and drama class for people with intellectual disabilities. Word of mouth, both Suas and HeadstARTS were recommended to me by friends who suggested I’d enjoy each . 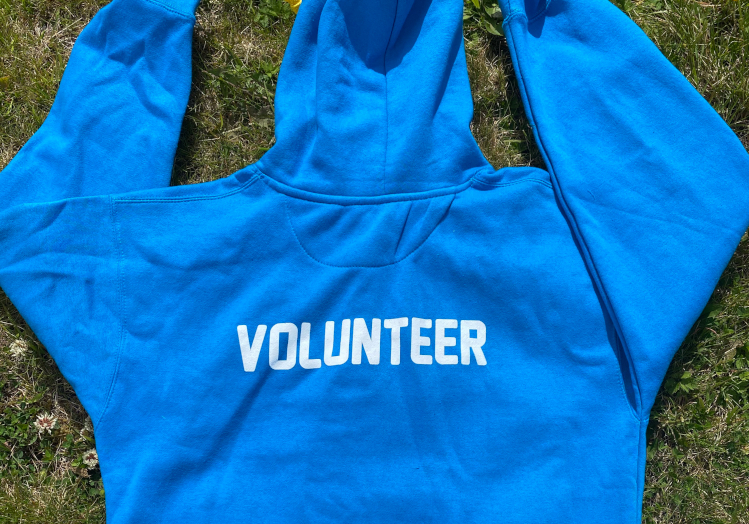 I fell in love with the societies and have been volunteering ever since. Both organisations that I have volunteered with have similar aims, they want to promote education and creativity in safe environments. I feel that for people and particularly children living in disadvantaged areas, it is important that they have the same access to education as everyone else. I wanted to help these causes, especially in relation to educating children. In first year, DCU Suas held a graduation ceremony at the end of the Literacy Support Programme for all of the 60 children who participated in the programme. We had entertainment, goodie bags, music and we held campus tours for all the children. They all had so much fun and it was such a wonderful experience showing the students the university and how it could be a part of their lives in the future. I fell out of a tree when I was a child and still have scars across my body - not my smartest move!